concentration camp. Mr. Mamlock was shot down in a plane over Nazi Germany. He told stories of the harsh living conditions and of surviving on small rations of food including something called ‘blood sausage’. I didn’t know what that was, but it sounded awful! Irena Sendler’s story opened my eyes to the brave deeds done by ordinary people with extraordinary courage. People such as Irena Sendler faced death every day so that others might live. Even for adults the Holocaust is difficult to understand. Focusing on one individual makes this slice of history more personal. 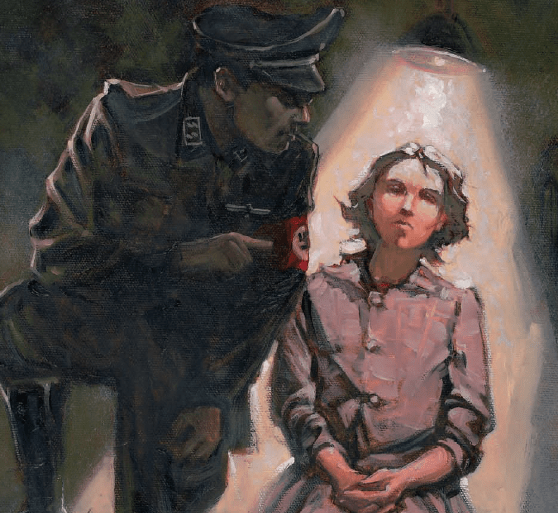 Learning about what Irena Sendler and her network of rescuers accomplished can help children better understand what everyday people throughout war-torn Europe were trying to achieve as they rebelled against Hitler and his forces. Sadly, war is still a part of life for children in many parts of the world today, and we see scenes of violence on television news nightly. I feel it’s important for young readers to know that while the world is not a perfect place, there are good-hearted people everywhere working to bring peaceful solutions and aid to troubled areas. In Irena’s Jars of Secrets I tried to tell Irena’s story with respect and honesty even though many parts are difficult and painful. From reading this book I hope children become aware that even one person can make a huge difference in the world. Previous PostCompiling Rigorous Thematic Text Sets: Books About ImmigrationNext PostPoetry Friday: What is a haiku?